Hooray! So, you’re child has begun the journey of toilet learning. This is a very exciting time, but it can also be quite frustrating. Don’t get discouraged. has caregivers that are well informed. more time needed to learn about bowel movements, and sleeping times. don’t get discouraged when things aren’t going like you thought they would. If your child is enrolled at SonShine Learning Center, we are so excited to begin this journey with you and your child when the time right! Each child is different and so we treat each toilet learning experience differently. We are happy to work with you and your child to make sure that toilet learning is consistent between home and school. We recommend toilet learning when signs of readiness are present. 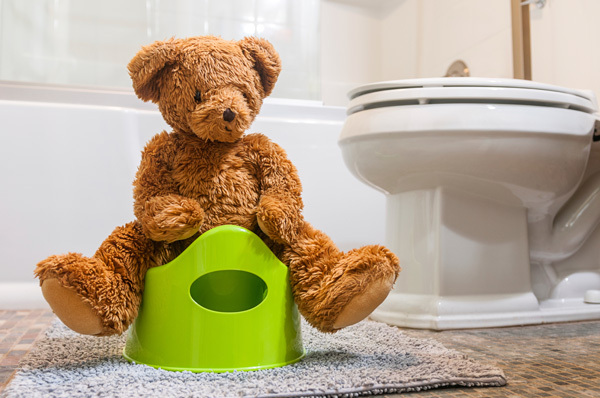 Children shouldn’t be forced to sit on the potty and should absolutely never be punished or shamed in anyway for accidents. Toilet learning should be a positive experience for all children. Marie Baker started with SonShine Learning Center in 2011. She works as the Mendota Height’s location site director in addition to planning and leading weekly chapel at all sites. She earned a bachelor’s degree in psychology from Gustavus Adolphus College and a master’s degree in educational leadership at Luther Seminary . She is an associate in ministry with the Evangelical Luthern Church of America (ELCA) synod, a trainer II with the Minnesota Center for Professional Development (MNCPD), and she holds a director’s credential through the Minnesota Association for the Education of Young Children (MnAEYC).